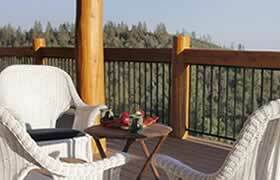 Courtwood Inn is pleased to offer lodging specials and getaways to Murphys, CA. 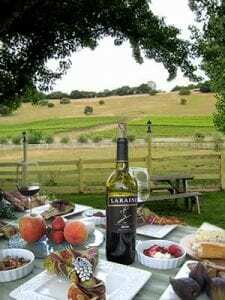 Our romantic getaways in Murphys, CA include a special Courtwood Wine Tasting Tour, a Concert Package, Massage Packages, and Tennis Getaways. 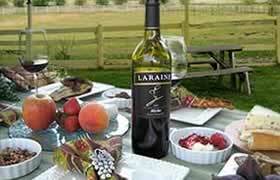 Combine a stay at Courtwood Inn with an award-winning Courtwood Wine Tasting Tour. Not only is there a 10% savings on your tour, after returning to the inn for our afternoon “wine and cheese,” we will drive you to Murphys for dinner and pick you up afterward. Seniors over 65 (ID checked at check-in) are eligible for a 20% discount on any of our mini-suites for stays of 2 or more nights. Valid Sunday – Wednesday arrivals. Daily breakfast and our highly acclaimed ‘Wine and Cheese’ reception in the late afternoon are included. Reservations must be booked no more than 2 months in advance; minimum 2-night stay; not combinable with other promotions, discounts or 3rd party gift certificates. Cannot be used for a stay in Mickeys or Drop Shot. Each room is on a 20% discount when it’s tournament is in progress. ie Australian Open in January, French Open in May, Wimbledon in July, US Open in September and Davis Cup TBD. Stay with us for 2 nights on a weekend or 1 night mid-week and receive round-trip transportation to the concert, plus a special dessert when you return to the inn following the concert. Round trip transportation to the Ironstone pre-concert dinner or concert and return transportation to the inn is included in this package. No driving or parking hassles. The van holds 3 couples, so returning from the concert might take 2 trips; and we will reserve your place according to when your reservation was received. Book this special package by calling us directly at 209-728-8686.